Give notice in writing to cancel a policy. This coverage that pays out if another driver makes a claim for personal injuries or the cost of repairing his or her vehicle after an accident. This coverage is similar to collision and comprehensive coverage available in North America. It pays for the cost of repairing a driver's own vehicle when an accident occurs. This portion of the policy also pays out when the car is stolen and is not recovered. If the car is financed and there is a balance outstanding on the loan, any money paid out under the policy may be paid to the lender to compensate that company for the loss instead of the owner. This coverage pays out if the owner is the victim of an attempted theft and the car is damaged as a result. Along with being protected against damage caused by fire, the owner is also covered for damage caused by lightening or an explosion. Tesco Insurance policyholders are also covered for damage to vehicle windshields, as well as for personal injuries and medical expenses incurred as the result of an accident. The policyholder and passengers in the vehicle can also be compensated for damage or loss of their personal effects in the accident. The procedure for how to cancel Tesco car insurance policy depends on how long the policy has been in effect. If a Tesco customer has recently arranged for coverage and finds that the policy does not meet his or her needs, the customer can cancel it within 14 days of receipt of the policy documents by notifying the company in writing. The policy papers must be returned to the company so the cancellation can be processed. Tesco will refund any premiums paid to the date of the cancellation in that case. The Tesco car insurance policy can be canceled by the policyholder at any time after it has been issued. The policyholder is required to give the company seven days' written notice, and the Certificate of Motor Insurance must be returned to the company. The customer may be entitled to a partial refund of premiums paid, depending on the cancellation date if no claims have been made under the policy for the current coverage period. 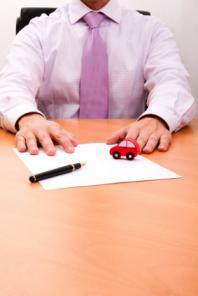 The company also has the right to cancel a policyholder's car insurance coverage. If it chooses to do so, the customer will be notified in writing and given seven days' notice. When a Tesco customer receives notice of cancellation, he or she is required to return the Certificate of Insurance to the company immediately. In a situation where the policyholder fails to pay his or her insurance premiums as agreed, the company will interpret the lack of payment as an indication the customer wishes to cancel the policy. The policy will cease to be in effect from the day the payment was due. Customers who want to know more about canceling a Tesco car insurance policy can find out how to proceed by checking out their insurance policies or by contacting the company directly.